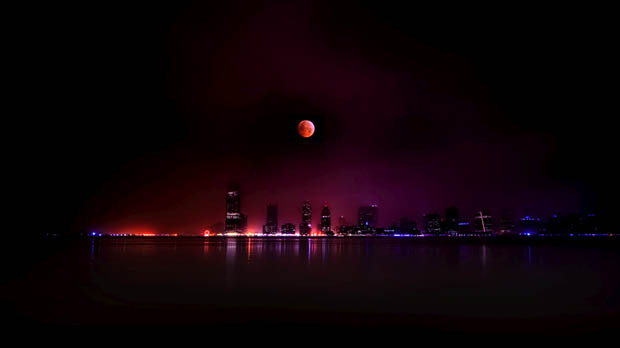 On September 27th, 2015, much of the Americas, Europe, Africa, areas of the eastern Pacific, and parts of West Asia will witness a rare event, a total lunar eclipse during a supermoon. Lasting 1 hour and 11 minutes, the eclipse begins at 8:11p.m. EDT and peaks at 10:47 p.m. EDT. In ancient civilizations, people interpreted a lunar eclipse as a “sign from the gods” since they didn’t understand what was actually occurring. So lets get down to the science behind it. A lunar eclipse results from the Earth blocking sunlight that would normally reach the Moon’s surface. Instead, the shadow of Earth projects upon the Moon. This shadow has two parts, the umbra and the penumbra. An eclipse begins as the Moon enters the penumbra of the Earth’s shadow. This is the least exciting part; there is still a lot of sunlight shining off the Earth’s atmosphere that is cast upon the lunar surface. 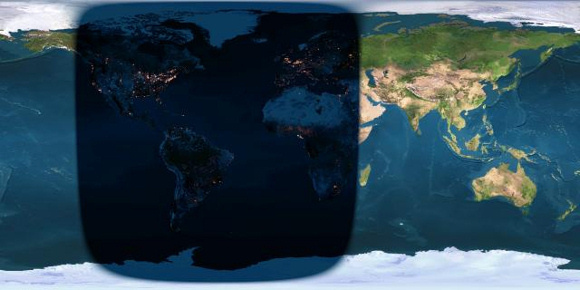 The umbra, the darkest part of the shadow, is considered the “middle” of the lunar eclipse, when there is the least amount of light refracting off the Earth’s atmosphere. The eclipse ends after the Moon travels through the penumbra of the Earth’s shadow again. The red coloration of the lunar surface results from the refraction of the light present in the Earth’s atmosphere. A supermoon means the moon appears approximately 14 percent larger than normal since it’s closer to Earth due to the moon’s non-circular orbit. The pairing of a total lunar eclipse and a supermoon is very rare. It hasn’t occurred since 1982, and will not repeat until 2033. Be sure to reserve some time Sunday night to watch this incredible event! Astronomy, eclipse, Lunar Eclipse, moon, supermoon. Bookmark.